The TOEFL ITP test measures the ability of non-native English speakers to communicate in English in an academic setting. It accurately measures how well students can read and understand English in the college or university classroom. Listening Comprehension measures your ability to understand spoken English as it is used in colleges and universities. This section lasts 30-40 minutes (50 questions,approximately) and is self-timed by the audio cassette that accompanies it. Structure and Written Expression Section lasts 25 minutes. It helps confirm that you are ready to recognize language that is appropriate for standard written English. There are two types of questions in this section, with special directions for each type. Reading Comprehension measures your ability to understand academic reading material written in English. This section lasts 55 minutes; 50 questions, approximately. Each section of the test has a time limit. If you finish a section early, you can go back within that section until time is called. However, you cannot work on a different section until you are directed to do so. You should work quickly but carefully on the Listening Comprehension and Reading Comprehension sections. Some questions are more difficult than others, but you should try to answer every one to the best of your ability. If you are not sure of the answer to a question, make the best guess that you can. You will spend approximately 3 hours to check-in and the TOEFL testing session. 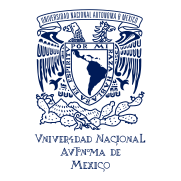 The test is delivered at a secure, ETS-approved test center, such as UNAM-ENES-León, through the Institute of International Education (IIE) in Mexico City. There are dates every month when you can take the TOEFL ITP Exam. Follow these simple steps to complete your registration. Language Department will have exam results ready within 10 to 15 working days after exam date. Test takers will be notified, via email, when exam results are available, as well as DATE & TIME to pick them up. Information will be sent to you by Exam Proctor or Supervisor- Professor Alan Sánchez. Test Centers are NOT permitted to give exam results over the telephone, via fax or e-mail to the candidate. Candidates must collect their result in person. Test Centers are not authorized to allow any other person to pick it up on their behalf. When test-takers come to UNAM ENES LEON to collect exam results, they must bring an official ID card or passport. Please go to TORRE ACADÉMICA. GROUND FLOOR. Professor Alan Sánchez in charge. Candidates will receive only ONE original Test Report. This is a very valuable document and it is recommended that candidates take care in keeping it secure. Replacement reports cannot be issued. ​​WHAT DO I NEED TO BRING? Two pencil (number 2), your oficial ID card and your original payment receipt. Report to the test center (Building "Centro de Información / Room 01) 15 minutes prior to your scheduled start time and hand in your ORIGINAL PAYMENT RECEIPT to your Exam Proctor. If you do not arrive 15 minutes before your start time, you will not be allowed to sit the exam. The exam starts at 3 o´clock sharp. If someone is late, he/she will not be allowed to enter the exam room and his/her test fee will not be refunded. You are required to bring valid, acceptable and oficial identification (ID) to the test center (INE, professional ID card or passport) It should include your name, photograph and signature. If you do not display an acceptable ID, you will not be admitted and your test fee will not be refunded. Mobiles, smart watches, stop watches, e-readers, tablets or other electronic devices must NOT be used during an exam. These should be placed under your desk. Personal belongings other than your ID document(s) will not be allowed in, since storage space is limited in exam rooms. You must ensure that any alarms or reminders which may create a disturbance are deactivated. Dictionaries cannot be used during the exam session. Test-takers are NOT allowed to leave the exam room during the whole testing session. The entire TOEFL testing session, including check-in, is approximately 3 hours long. Policies in this Bulletin are in effect from February to November, 2018 and are subject to change without notice. All TOEFL test scores will remain valid for 2 years after your test date. ​Once your form has been filled out, please send it to centro.idiomas@enes.unam.mx; and cc to creyesc@enes.unam.mx along with a soft or digital copy of your payment receipt. Not finding a suitable date? We may run exams on other dates, subject to some minimum entry requirements. Please contact Dra. Connie Reyes Cruz at creyesc@enes.unam.mx for further information.